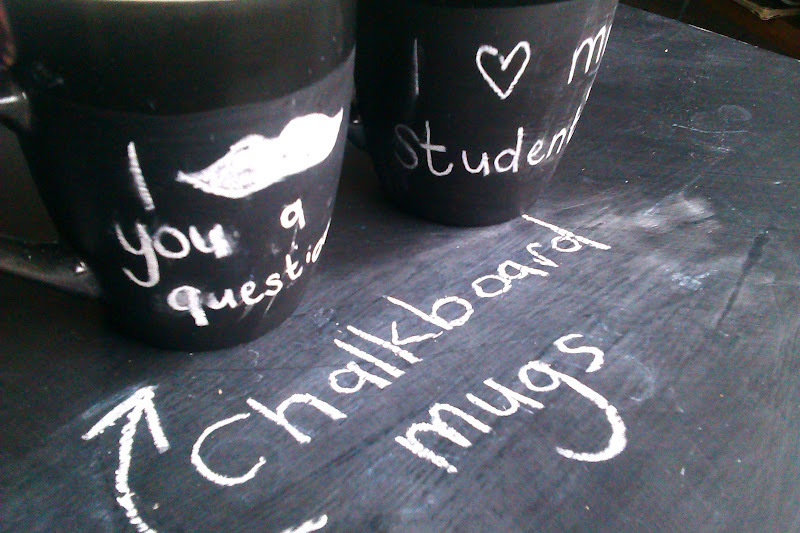 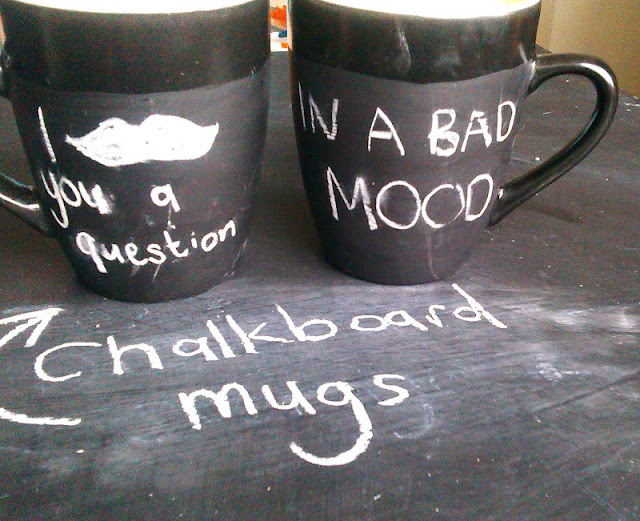 I know, I know, I've really over done the whole chalkboard paint thing! 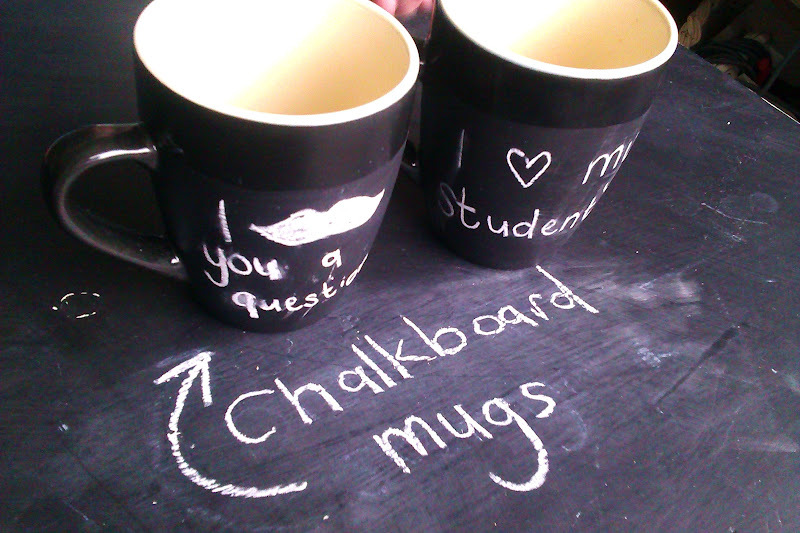 These are Christmas and birthday gifts for the two high school teachers on my list. I used a mug that was already black, and painted the outside, excluding the handle and one inch around the top. "test next week on observational skills"
Or use it for a loved one and write a message to them when you get them a hot drink.